I once had an Accounting firm who had been considering engaging us to run a change management program across their business, tell us that ultimately the board had decided that they didn’t believe in paying for external guidance. Imagine an Advice business saying that it didn’t believe in it’s own value? Yet that is a trap that is so easy for us to fall into. There is a simple saying that is used consistently in any form of elite sports ‘you can’t be your own coach’. In that truth, however, is a lesson not just for athletes but one that is profound for all Advice Professionals. Understanding this simple concept is the key to unlocking your deepest value as well as overcoming all of your own business limitations. Not only can you not be your own coach, you can’t be your own Adviser. You see that is your greatest value, being able to do for your clients what they cannot do for themselves… Advice helps people to take their emotions, their decisions and their possibilities and to put context around them. Your deepest value comes from your ability to help your clients see and act clearly and all you need to do to have them recognise that and be happy to pay you for it is to believe it. 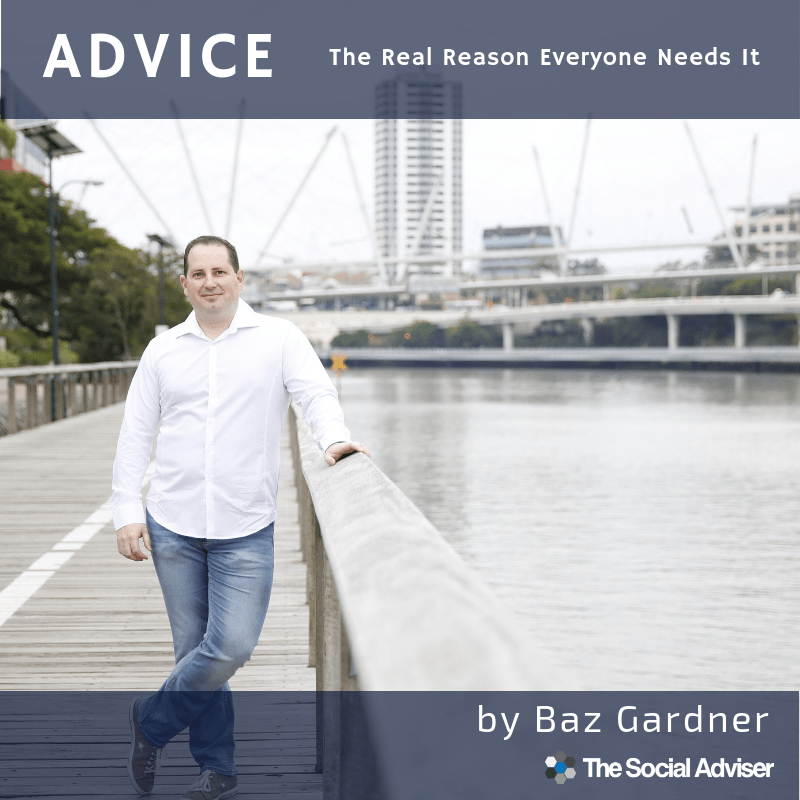 The second thing we all need to realise as Advisers is that we cannot be Advisers to ourselves. Of all of the professions I have encountered those who deliver Advice are the ones least likely to seek it out and pay for it. To believe in what you do, you should believe in what you do. Help your clients to have more of the life they want, just don’t forget to ask for help in having the same for yourself.